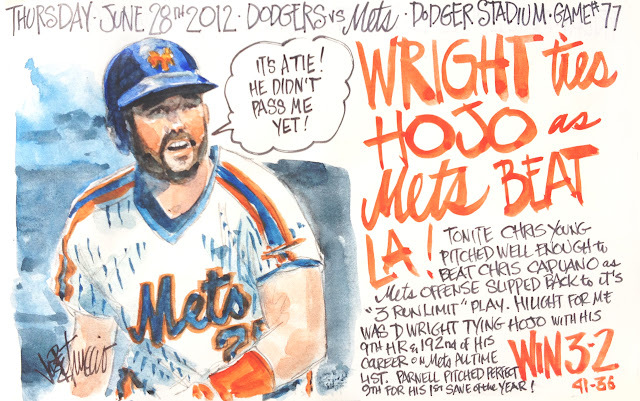 My Mets Journal: WRIGHT TIES HOJO! METS BEAT DODGERS! Joe, I am a lifelong Mets fan and discovered your journal while recovering on the couch from a medical procedure. 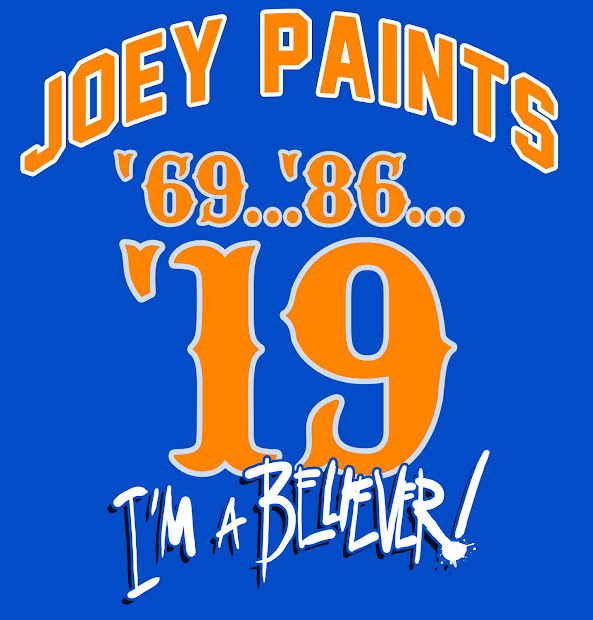 Your unique way of capturing each Mets (font for team name is great!) game outcome is a real treat. Thanks for sharing your talent in this way. Do you typically do the drawings while watching/listening to the game or from highlights or after the fact? Dan, Hope you're feeling better after your procedure. Glad you discovered and are enjoying the journal. To answer your question... 95% of these are done after watching the game. there are times that I travel or have meetings where it impossible for me to watch at gametime. But I do watch online or on DVR before drawing. it is great to see the Mets playing decent ball for a change. Ok, so they scored only 3 in this one, at least the defense did their part and the pitching staff seems to have picked up the pace. Thank You Joe for another great recap and the right on ArtWork! !